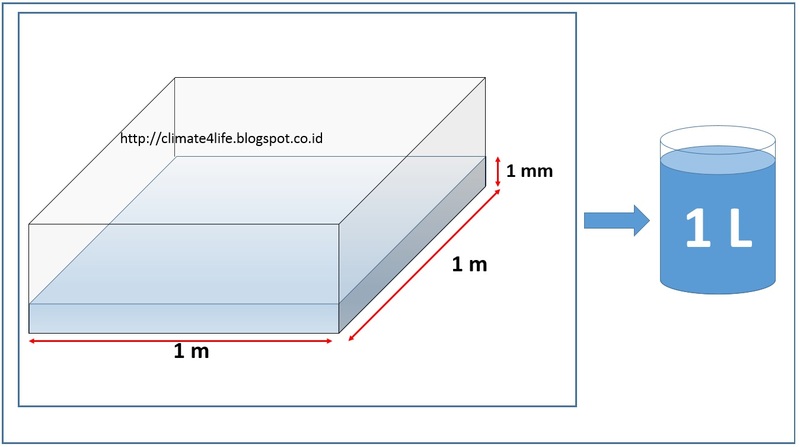 One important note is, because rainfall depth is the proportion of rainfall volume and area, in same rain event, despite the area has different width, the rainfall will have the same depth. Because the depth is always same, different area results in different volume. So what does 1 mm depth rainfall mean for us? Hence if the 1mm rainfall fill 2 m-square land, its volume is 2 littres, and so forth. According to Wikipedia, Jakarta covers 661,52 km-square or 661.520.000 m-square area. 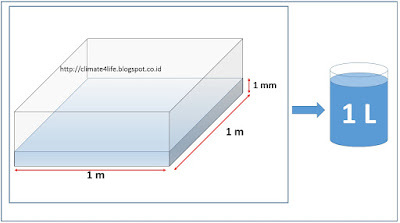 When whole Jakarta has once an identical 1 mm rainfall, we get 661.520.000 littres rain water. Have you ever imagine how much is 661.520.000 litters of water? It means that we need 132.304 water wagons to collect our 661.520.000 littres water from the rainfall. A water wagon is about 9-meter long. If we put our 132.304 water wagons in a line, the length will be 1190,7 km. 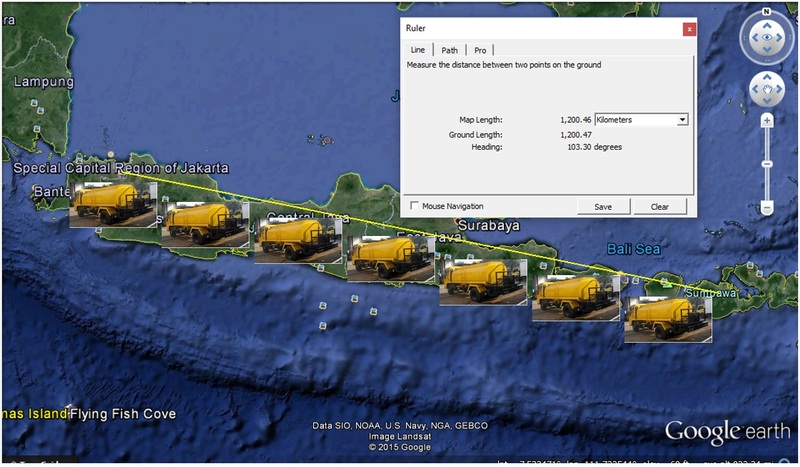 This is equal to the distance between Jakarta and Sumbawa, a city in West Nusa Tenggara Province. 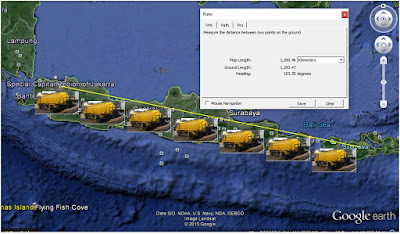 Isn't it something amazing, from only 1-mm rainfall, it can fill water wagon along Jakarta to Sumbawa. How almighty the universe creator is. 6 Responses to " Maybe we are not aware that 1 mm rainfall in Jakarta means that Jakarta gets 132000 fully loaded water wagons "